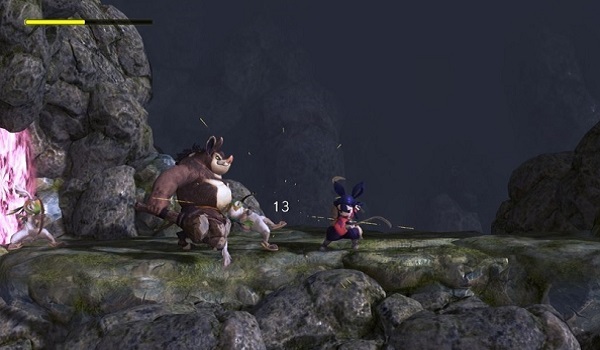 Popular indie Japanese developer Edelweiss has released screenshots for its next big game, an action-RPG that appears to star an acrobatic warrior in a land full of adorable monsters. While details are scarce, Edelweiss took to Twitter over the weekend to, at the very least, show off their latest game. There's no name attached to the project, much less story details, platforms, or a release date. If Edelweiss sticks to the norm, however, Western gamers are likely to see this one pop up on Steam one day. 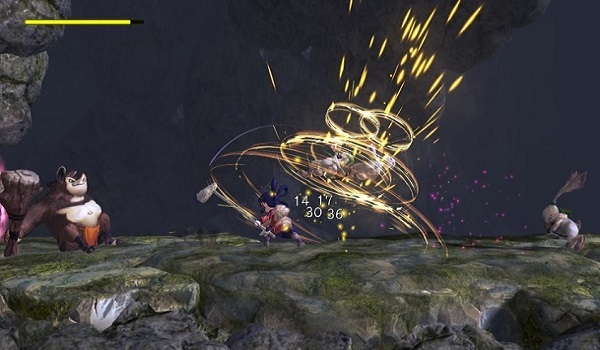 Edelweiss is perhaps best known for their previous action RPG, Fairy Bloom Freesia, though they're also the team responsible for games like Ether Vapor Remaster and Astebreed. If you're a fan of unique, lovingly-crafted indie games, those are definitely worth checking out. Both are frantic bullet hell games and they're both on sale through Steam at the moment. Astebreed, in particular, has a score of 86 on Metacritic, so you know it's probably at least worth a gander. Fairy Bloom Freesia is also on sale through Steam and it looks very similar to the team's new unnamed title. In the images, we see what appears to be a pig-tailed ninja girl leaping through the air and attacking giant rabbits and, um, I'll call it a boar? A side-scrolling platforming adventure, it's certainly unlike the AAA fare we've been overwhelmed with these past couple of months. A gamer can only take so much Call of Duty and Fallout 4 before needing a bit of color and whimsical action to take the edge off. That's actually one of our favorite things about those Steam sales: they give more gamers a chance to try out something they may not have otherwise. Not that these games aren't worth the full price of admission, but those games listed above are typically a harder sale when you're pitching to folks who aren't necessarily fans of their respective genres. When they're going for just a few bucks, though, it's hard to turn down a fresh experience that might turn you on to a genre, developer or publisher you haven't experienced in the past. Unfortunately, that's all the details on Edelweiss' new game that we have at this time. Their Twitter account is in Japanese, obviously, but it might be worth following if you're hoping to catch more glimpses of the game as they become available. Otherwise, we can all just sit back, relax and wait for more screenshots (or perhaps a trailer) to finally come our way.